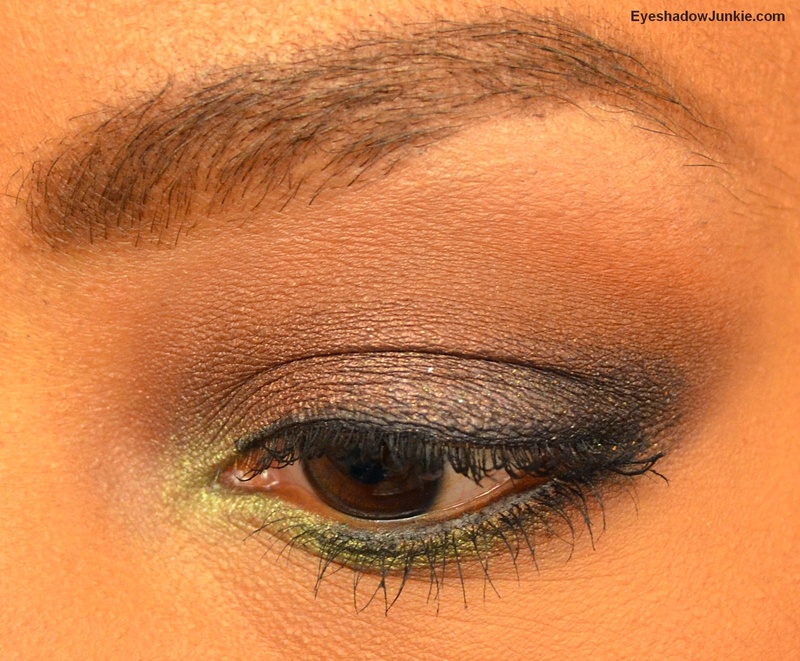 When I saw The Theodora Palette, I was immediately attracted to the brown shades and the green duo. I love a good neutral shade as much as I love color. This palette seemed to have a lot of drama. Since Urban Decay makes a great matte shadow too, I couldn’t pass it up. Since pictures and lighting tend to wash colors out, I used a dark brown as a base to intensify this look. Rich Mahogany was applied using a flat synthetic brush onto my lid and lower lash line. I blended out the edges using a fluffy synthetic brush. A skintone shade was used in my crease and blended up to my brown bone. I applied Beware with a Mac 217 into my crease. I used the same brush to apply Mac’s Orange to blend out Beware. With a Mac 239, I put West on my lid, just short of the crease and onto my lower lash line. I blended out this shade with a clean blending brush. I dampened the black shade of Shell while the color was still on my brush with Mac’s Fix+ and applied this shade to the outer third of my lid. 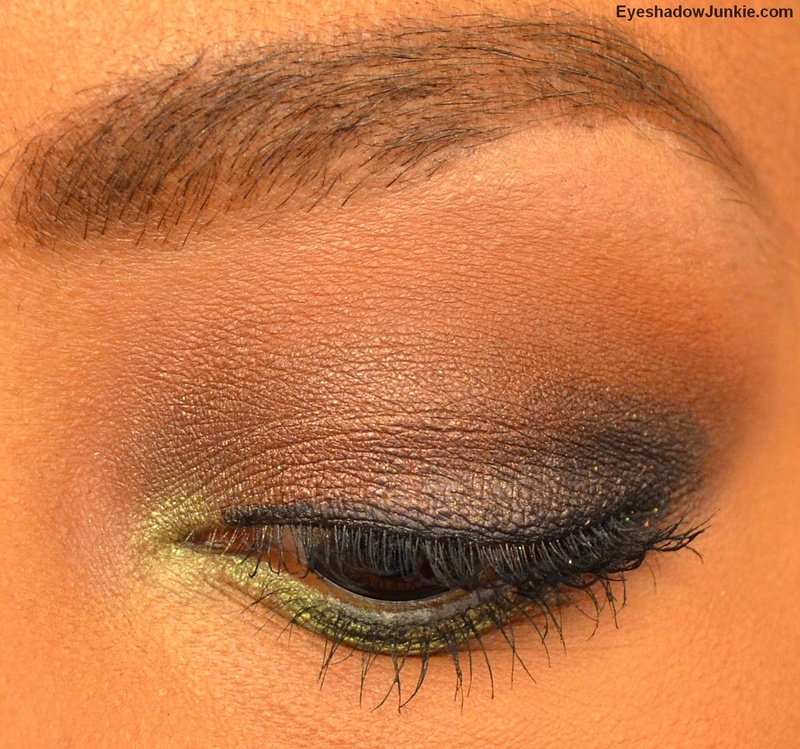 I concentrated the color below my crease and blended it up. 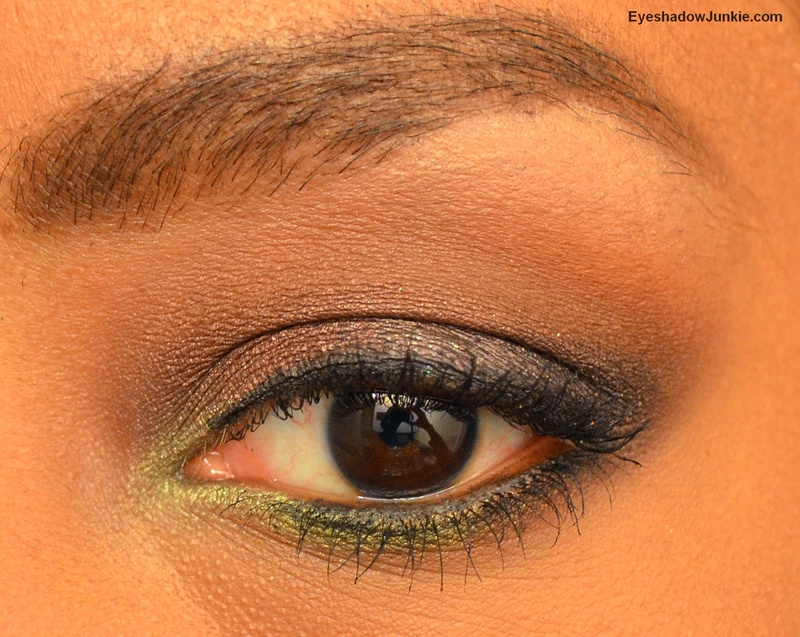 The light green shade of Jealous was put into my inner corner using a small pencil brush. The darker green was applied along my inner corner of my lower lash line. Broken was used as a brown highlight. I would’ve preferred to use a black gel liner, but I decided to play along and use Zero, which came with the palette.